For those who just got a phone named Coolpad Avail 3300A, it is normal for you if you are not familiar with this device and are looking for something to use this device. in order to help you, here is the information about Cool[ad Avail 3300A phone manual. The first thing that will be uncovered is to set up your Coolpad Avail 3300A manually. First of all, you have to know about the parts and the functions. There are some parts of the Coolpad Avail 3300A. Each of them has different function. Some of them are earpiece, touchscreen, menu key, home key, back key, USB charger or accessory port, speaker, power or lock key, 3.5 mm headset jack, camera, and volume key. If you want to insert the battery, these are the manual steps that you have to follow. First, remove the battery cover. Second, insert the battery. You can align the contacts of the battery with the contacts in the phone. Third, attach the battery cover. If you want to remove it, the first thing that you have to do is to remove the battery cover. Then, remove the battery. In the end, you have to attach the battery cover. One of the things related to Coolpad Avail 3300A that can be done manually is to update your phone. if you want to update your phone manually, here are the instructions that you have to follow. From time to time, a thing called update may be available for your device. In this case, you are able to download and apply updates through the Settings > System Updates menu. During the update, you have to remember that the phone cannot be used until the software updated is complete. Keep in mind that this may take time to update the software of the phone. Another thing that you have to know is the fact that update the phone where signal reception is good and please do not change the location during the update process. Furthermore, you have also to make sure that the battery is adequately charged before starting the update.if the signal is weak or the battery is low during the update, it may cause the update to fail. Apparently, the update failure may disable the phone. If you want to update the software of Coolpad Avail 3300A manually, please do these following steps. First of all, you have to know that you are allowed to update the software of your phone using the System Updates option. Another thing to consider is to back up all of your data first as it might get deleted. Once it is done, you can do these following steps. First, from Home, you have to tap Apps > Settings > system Updates. Then, tap Updates Coolpad Software and tap Check for updates. Upon doing the step, your phone will automatically downloads and installs any available updates. You may be asked to power your phone off and back on to complete the software upgrade. 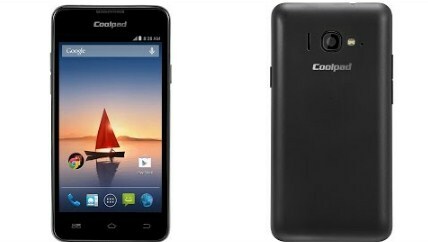 Related Post "Coolpad Avail 3300A Phone Manual"